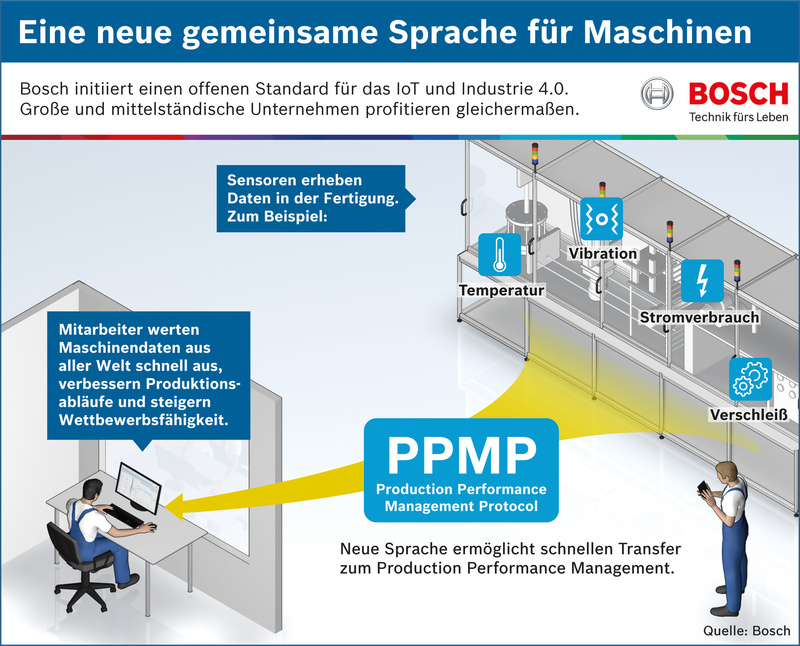 The new standard developed by Bosch experts supports Production Performance Management (PPM), a process that is central to Industry 4.0. 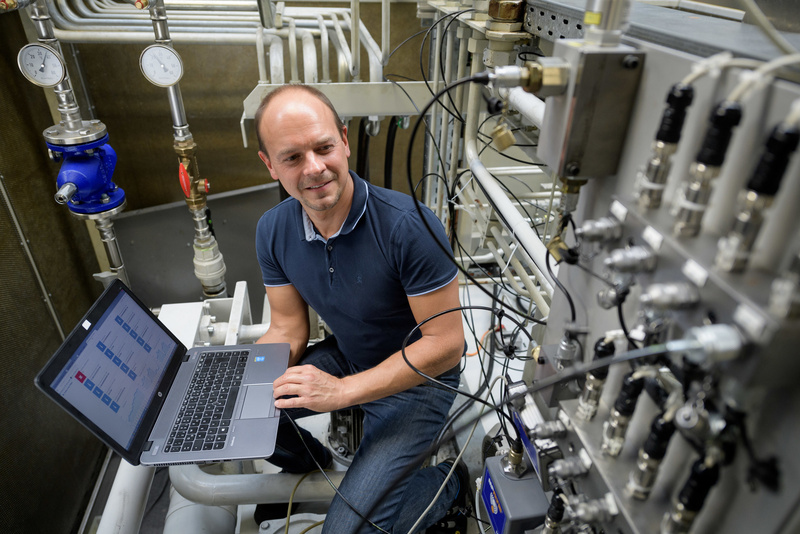 It uses sensors to collect great quantities of data from manufacturing for analysis, with the aim of further improving production processes. Are all the components along a production line really working together as effectively as possible? Is one component slowing the process down? Is one piece of equipment drawing an unusually large amount of power? Is a motor overheating and possibly about to fail? A PPM system can answer these and other similar questions – and correct faults. At the same time, PPM makes efficient, comprehensive production management possible. 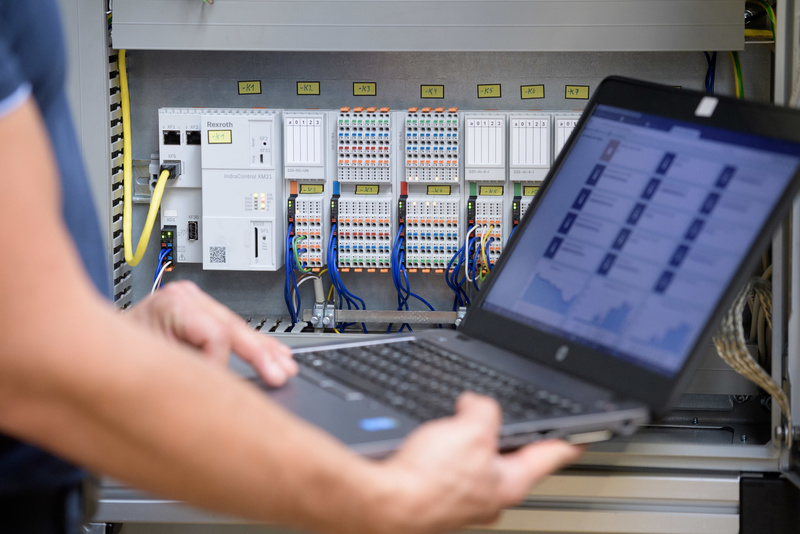 The best possible management of production processes calls for the many sensors and machines in a manufacturing facility to deliver their data to the central PPM software. This is a complicated undertaking, as until now all these machines and sensors have spoken many different languages. 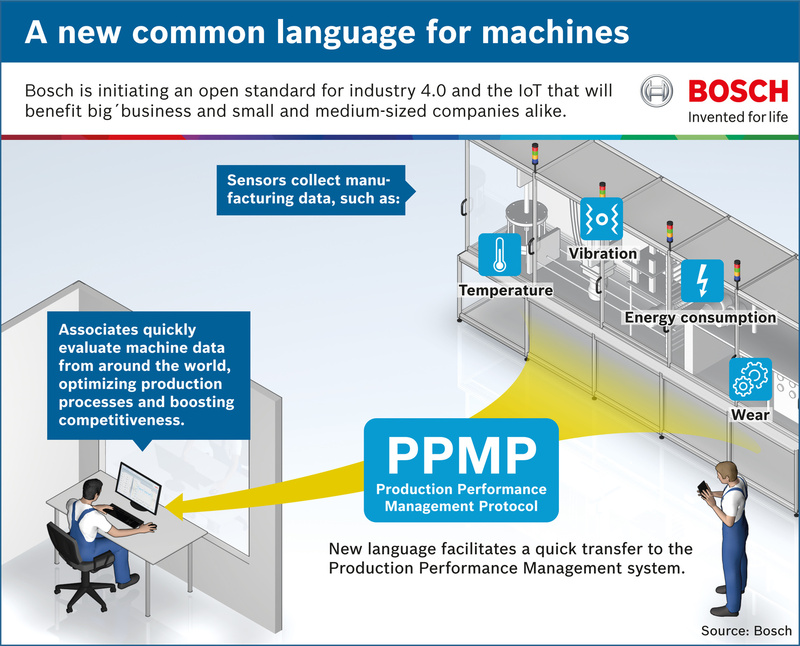 It is difficult to get them to communicate with each other, but Bosch has developed the PPMP to enable machines and sensors to communicate better. 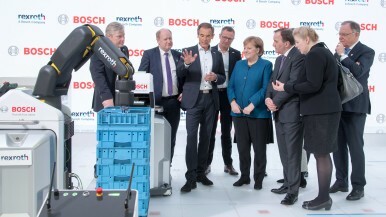 Like Bosch, many large companies put many components supplied by third parties – frequently specialized SMEs – to work in their manufacturing facilities. These components can be integrated into a production environment quickly, easily, and cheaply. Meanwhile, open standards help SMEs better integrate their products into the manufacturing systems of their large and small customers so both sides benefit. 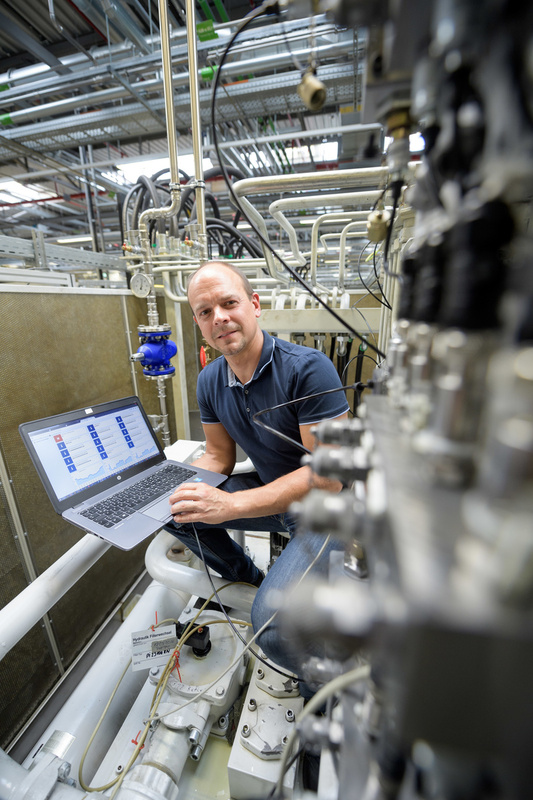 What’s more, the PPMP underpins mechanical engineers’ ability to connect their machinery directly with software. This means any machine faults can be reported to an app. The person in charge immediately sees the reason for the fault on their smartphone, along with an approach to take to resolve the problem. 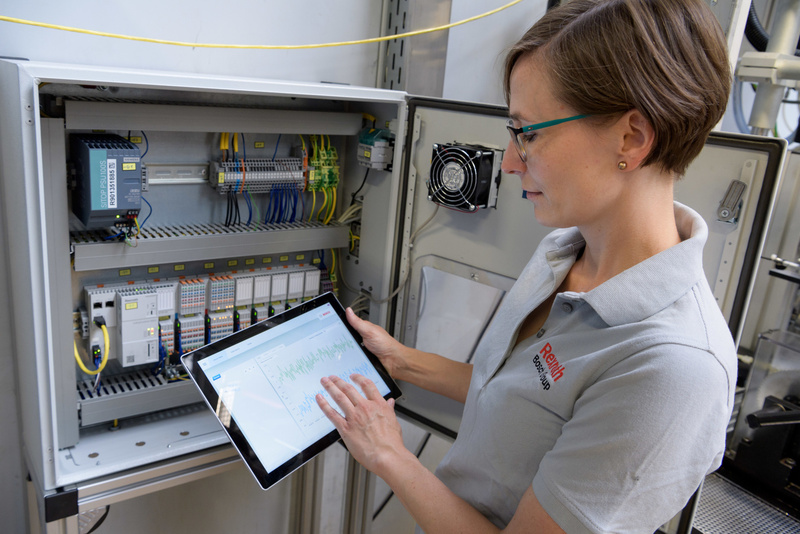 This is also why Bosch recently joined the Labs Network Industrie 4.0. 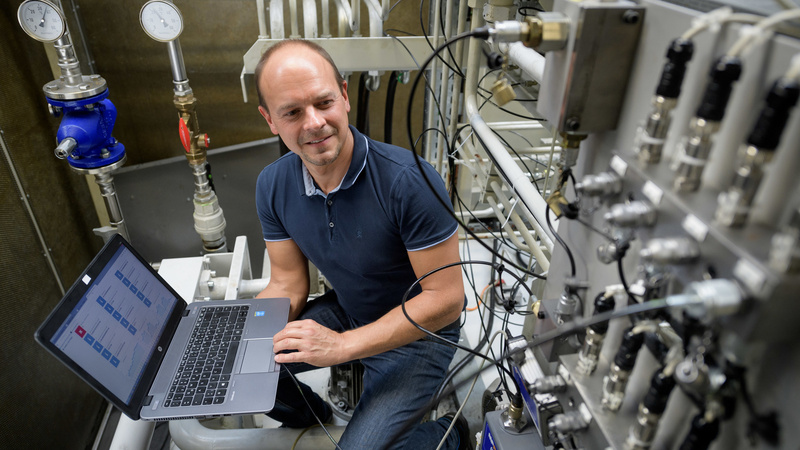 Launched by industry representatives and Germany’s Bitkom, VDMA, and ZVEI associations, the network aims to promote German SMEs’ implementation of Industry 4.0 technologies. The Labs Network is the first port of call for questions relating to the development of Industry 4.0 solutions.